Mack Trucks will showcase two Mack Anthem models in booth No. 4073 at the American Trucking Associations Management Conference & Exhibition Oct. 27 to 31 in Austin, Texas. Two Mack Anthem models will be on display in Mack Trucks booth No. 4073 at the American Trucking Association's Management Conference & Exhibition 2018, Oct. 28 to 31 in Austin, Texas. The Mack Anthem model combines a bold yet still highly aerodynamic design and an all-new driver-inspired interior with Mack's legendary integrated powertrain to give customers a reliable and cost-effective truck they can count on to get the job done. The Mack Anthem 70-inch stand up sleeper model to be displayed is equipped with the Mack HE+ package, which combines aerodynamic components and the Mack MP 8HE engine with Mack Energy Recovery Technology to improve fuel efficiency by up to 9.5 percent. Both Mack Anthem models feature Mack Over The Air, which enables remote programming of powertrain components and other vehicle parameters like road speed limits. Mack Over The Air is powered by Mack's standard, fully integrated telematics solution, Mack GuardDog Connect, and delivers software updates directly to customers when it's convenient for their operations. Mack GuardDog Connect proactively monitors truck performance, detecting fault codes and enabling real-time diagnosis of issues that could lead to unplanned downtime. Working with the Mack ASIST online service management system and Mack OneCall uptime agents in Mack's 24/7 Uptime Center, GuardDog Connect maximizes customer uptime by scheduling repairs and confirming that needed parts are in stock and ready to install, all while the truck is still on the road. 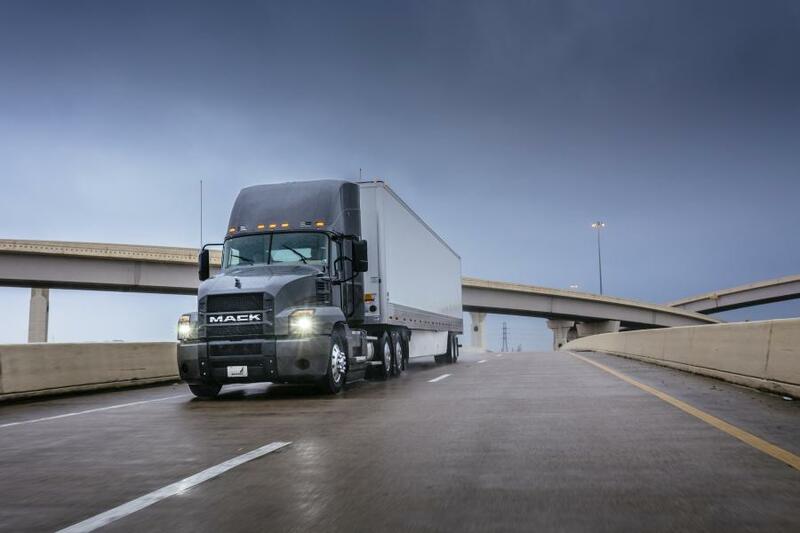 Mack's uptime services are a part of Mack Connect, a connected solution that integrates intelligent software, predictive analytics and driver assist technologies to help boost customer productivity and profitability. Solutions under Mack Connect are aligned into three pillars: connected support, connected business and connected driving.